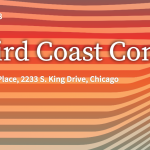 The 2018 Third Coast Conference will take place on October 4-6, 2018, in Chicago. They can accommodate only 800 people, and recommend that you do not wait to register. Join us in Chicago for three chock-full days of learning about the art & craft of audio storytelling from the field’s top makers, making connections with other producers/podcasters/reporters from all over the world, and discovering impactful radio & podcasting opportunities. And celebrate with us on the final night (October 6) with an Awards Ceremony honoring the winners of the 2018 Third Coast / Richard H. Driehaus Foundation Competition. They have room for 800 people, and that includes presenters, volunteers, and special guests. They expect to sell out quickly. Once all the spots are gone, the only way to get a registration is from someone who needs to transfer theirs. The Third Coast Conference does not have a waiting list. Your registration fee is non-refundable, but is transferrable up through Friday, September 28, 2018, at midnight. The Conference begins on Thursday, October 4, at 1pm with an afternoon of meet-ups. The 2018 Conference officially starts at 5pm. It goes “pretty much non-stop” until Saturday night on October 6, with the Third Coast Awards Ceremony and after-party. Participants are also encouraged to come to Chicago early and stay late to take part in Third Coasts’ lineup of live podcasts: The Fest. Join them for a live show as part of The Fest on Wednesday, October 3 (Conference eve!). Plus, there will be more Fest events on Friday Night and Sunday. 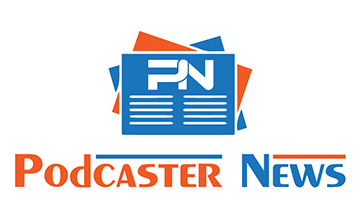 You can keep up with the latest Third Coast Conference news and announcements by signing up for their newsletter and selecting “producer news”. A more detailed schedule will eventually be released. The 2017 Third Coast Conference will take place on November 9-11 at the Hyatt Regency McCormick Place in Chicago. 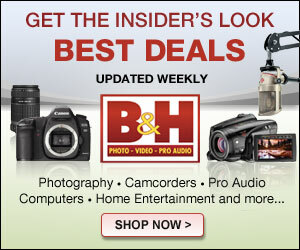 It includes radio producers, podcasters, journalists, documentarians, audio artists, and students. Everyone comes together to listen to each other’s work, share ideas and expertise, and make connections with future colleagues and new friends. * How to become an investigative reporter with one simple trick: Ask a good question – Madeline Baran and Samara Freemark of In the Dark, love the intimacy of radio and the power it has to transport us into other people’s lives. But as producers of an investigative podcast, they think audio storytelling can do more. All sessions are recorded and available in Third Coast International Audio Festival’s Audio Library and on the Third Coast Pocket Conference podcast. The weekend culminates with an awards ceremony honoring the winners of the Third Coast/Richard H. Driehaus Foundation Competition.